In a 1994 Cone/Roper Benchmark survey, one-third of Americans said that after price and quality, a company’s business practices are the most important factors in deciding whether to buy a product. The survey also found that social responsibility is slightly more important than advertising. Seventy-eight percent surveyed said they were more likely to buy a product or service that supported their cause. Fifty-four percent said they would even pay more. Teaming up with Special Olympics generates consumer participation and engages customers at a level of empathy, emotion and fun that is impossible to resist. To those who embrace our philosophy, joining the Special Olympics Kentucky Team is more than sponsorship… it is a true partnership. The Special Olympics movement’s recognition rate with the general public is 95%. Special Olympics was named the nation’s “Most Credible Charity” in a poll of the public conducted by The Chronicle of Philanthropy and was named one of “America’s best run charities” by Financial World magazine. A 1995 Gallup Pole showed that the general public was “more likely to purchase” products or services associated with Special Olympics than other major sporting events. Many corporations and organizations are already familiar with the benefits of cause marketing with Special Olympics Kentucky. Over the years, Proctor & Gamble, Subaru, The Finish Line, Coke and many others have received public relations benefits and positive media exposure through partnerships with Special Olympics. Help support or promote one of Special Olympics Kentucky’s many signature special event fundraisers, like the Polar Plunges, UPS Plane Pull, DHL Plane Pull, Big Brown Truck Pull or Sneaker Ball. Sponsorship packages begin at levels as low as $1,000 for many events and packages can be custom crafted to reach your company’s goals. Contact Special Olympics Kentucky Special Events Directors Taylor Ballinger at 502-695-8222 or tballinger@soky.org or Jennifer McMahon at 502-326-5002 or jmcmahon@soky.org for more information. For a more direct involvement with Special Olympics Kentucky athletes, Special Olympics Competition Sponsorships are also available. Special Olympics Kentucky holds seven statewide competitions each year, most drawing more than 600 athletes plus their coaches and families. The annual State Summer Games draws more than 3,000 people to Richmond each June. Special Olympics Kentucky can customize a package that fits with any company from health care to food service. Contact Special Olympics Kentucky President/CEO Trish Mazzoni at 502-695-8222 or tmazzoni@soky.org for more information. Only a very special group of companies receives recognition at every Special Olympics Kentucky competition and fund raising event and those are our Year-Round Partners. 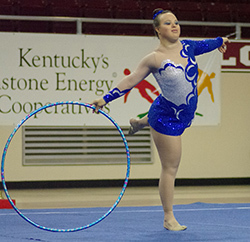 Year-round partners logos appear at every event Special Olympics Kentucky holds throughout the year. In addition, each partner receives a special sponsor recognition at the competition or fundraising event of their choice as well as a a table at the annual Special Celebration and Auction event in January in Louisville. No other sponsorship opportunity in our program offers this much exposure and at a fraction of the cost of sponsoring individual events. Contact Special Olympics Kentucky President/CEO Trish Mazzoni at 502-695-8222 or tmazzoni@soky.org for more information. More and more companies are encouraging their employees to take time to be involved in the community and Special Olympics Kentucky offers myriad opportunities for employee involvement at our events. Your employees can support a venue at one of our statewide competitions or enter a team in the UPS Plane Pull or Truck Pull or the Polar Plunge. Employee volunteer efforts are a tremendous team-building experience and can give your organization a definite morale boost. Let Special Olympics athletes help Reveal the Champions Within your staff. Employee volunteer efforts can happen in conjunction with another type of sponsorship or can be set up as a stand-alone effort. Contact Volunteer Services Director Justin Harville at 502-695-8222 or jharville@soky.org for more information.